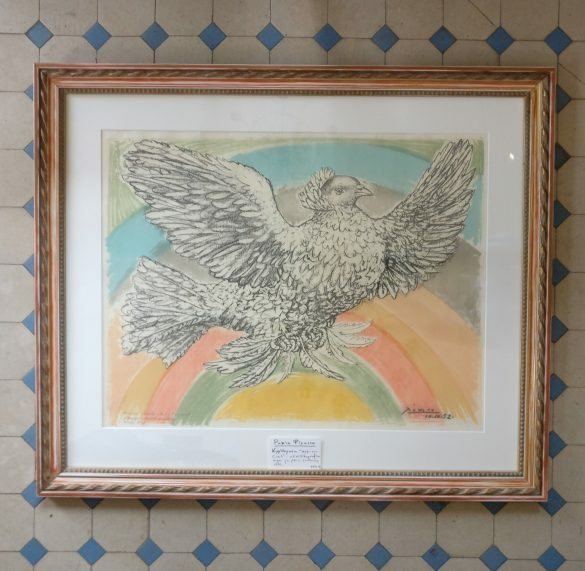 ”Dove of peace with rainbow”. Värilitografia. Sign ja päiv lite 10.10.52. Koko n 60×80 cm.